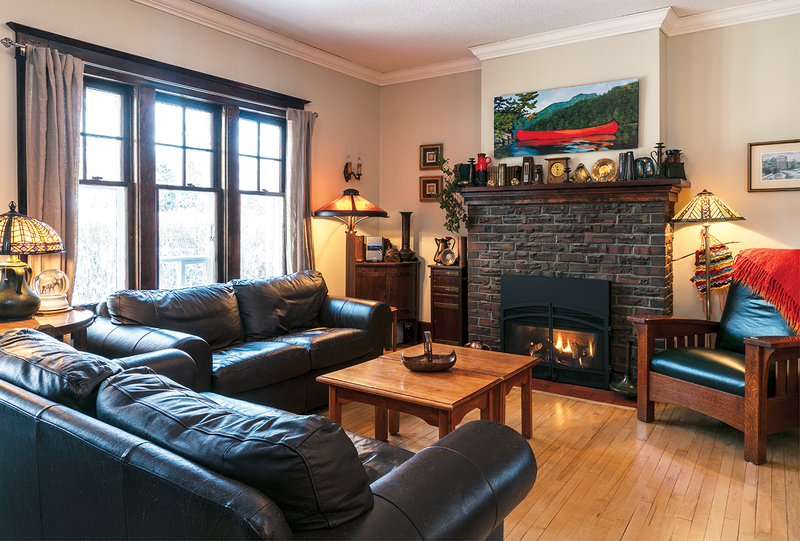 It took Kelly Rota, owner of Rota Blasting and Refinishing Ltd., four years of part-time work to restore his 1923 historic home in the Highlands. It was arduous yet fulfilling work that came with satisfaction and even reward — in the form of a hidden treasure from nearly a century ago. 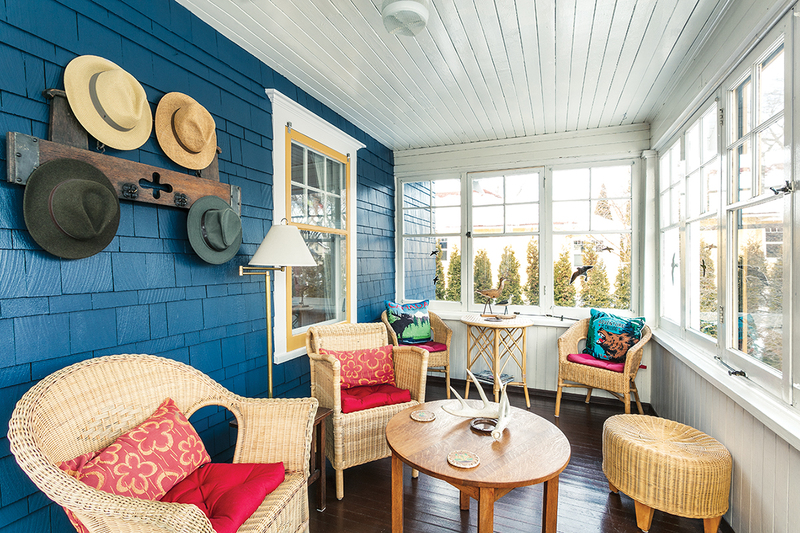 Rota returned the front and back porches to their original open designs, stripped decades of paint from the interior fir millwork, then re-stained and shellacked them, and replicated picture railings that had once lined the front rooms. “I wanted to maintain the house as much as possible in its original condition… meaning original plaster too,” says Rota. Instead of ripping out the lathe and plaster and installing drywall, like most contractors would have recommended when updating the old knob-and-tube wiring to 100 AMP service, he carefully cut holes in the walls and ceiling, fished the new wire through, then repaired the plaster using a traditional method (although the materials were modern) that his father, a master wall finisher and painter from Germany, had taught him. 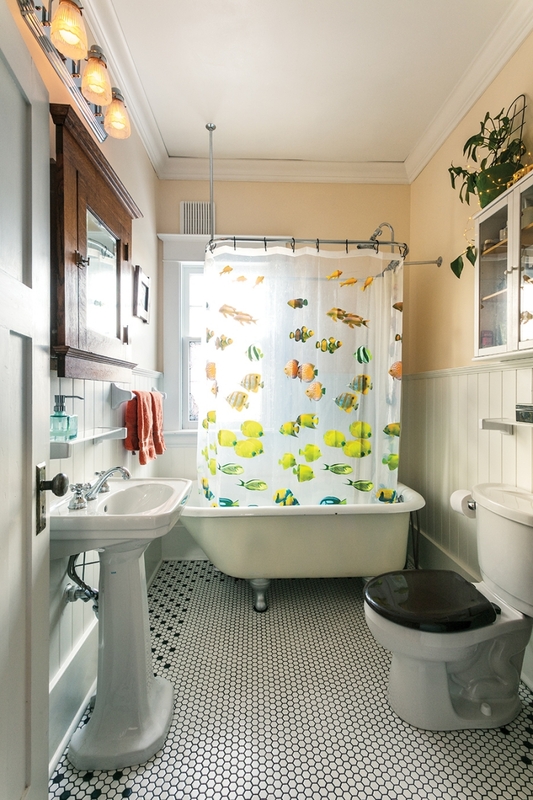 It was cutting into the bathroom walls to update the old lead pipes where he made his ancient discovery, the kind that motivates so many historic home aficionados: Lost behind the bathtub was the original homeowner’s signed carpenter apron. As Rota restored his home, his neighbour across the alley, Dave Locky, watched: Rota blew in new wall insulation to maintain the original exterior siding, removed every square inch of paint from his cedar clapboards and constructed new storm windows for those that were beyond repair. Locky’s 1924 home, a nearly perfectly preserved Arts and Craft specimen, needed similar window treatment. The paint on the house and soffits had cracked down to their first layers. Rota agreed to do the work, committing to repair everything when possible and replace only when the original had failed. He stripped the paint using a specialized paint-shaving tool that would not damage the cedar shingles. In instances where the tool wouldn’t work, like on sections of the soffits, Rota blasted with fine-grit inert glass to remove the paint. Another complicating factor in this job was the lead that remained in the original paint. “There is lead paint all the time in old homes,” Rota says. “If it’s anything older than 1950 and maybe even ’60s, there’s lead.” His workers all wear a HEPA filter in their masks and, in some of the bigger jobs or those in highly populated areas, entire buildings are shrink-wrapped as lead paint is scraped. Air scrubbers clean the air before releasing it outside the wrap. To protect Locky’s neighbour’s property, Rota built scaffolding then wrapped it with poly to contain the dust. Homeowners considering old-home restoration or renovation must also look out for asbestos. Used in insulation, vinyl floors, shingles and even paint finish, asbestos is safe when undisturbed but, once a contractor finds it, a permit needs to be obtained and the asbestos removed safely by a certified contractor before any further demo occurs. The process can add a lot more cost and time to a project, so Rota suggests that, before starting, clients should ask their contractors about their lead and asbestos abatements. While Locky figures repairing the windows saved him half the price of replacing with new windows, repairing old homes to their former glory requires money and sweat. Rota weighs all the factors when it comes to a client’s option to either repair or replace: Is the material salvageable? If it is wood, is it healthy enough to be refinished? How much time will it take to repair versus replacing it with the same profile? And, as Locky says, “We are in halcyon days for duplicating historic things.” He surveys the results of his main floor bathroom renovation that took advantage of the many replicas available today. Era-appropriate white and black hex tiles cover a new subfloor. He points to the toilet and the sink, above which sits a glass shelf — “All these are historic knockoffs.” And while the cast-iron tub is original (it required three large men to move it) the taps and showerhead are replicas — gorgeous and shiny. Before Locky begins a renovation project, he does a significant amount of research online starting with the period and social demographic of the original owners. This helps him both discover materials he didn’t know about and narrow down his options for replicas in instances where he knows items need to be replaced. He warns that, when renovating an older home, homeowners can’t only rely on contractors’ knowledge. “I get flyers almost every week targeting us to change out windows,” Locky says, “but it’s not required!” He built 13 new screens for the windows after Rota’s crew repaired and painted them, and Locky argues that the restored older windows are better at absorbing sound, provide necessary ventilation and look better than new. 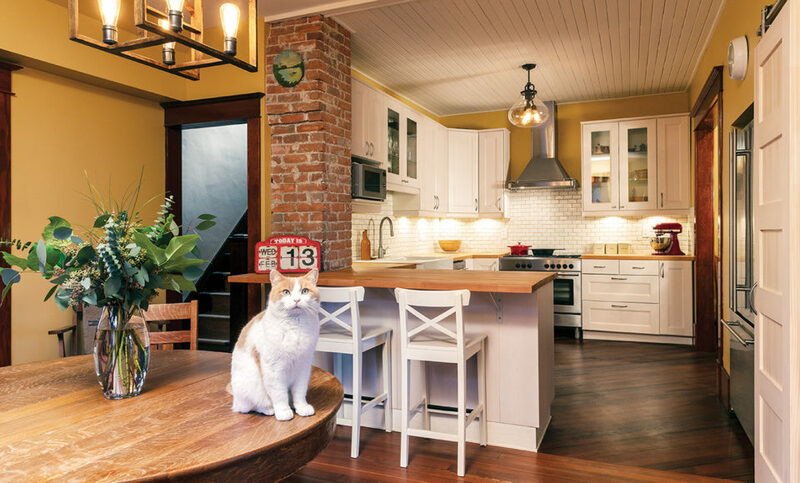 Rota agrees that when renovating historic homes, less is more. He feels it is important that clients know there are options when a contractor recommends changing all the windows, or covering exterior cladding with insulation and new siding. For people wanting to maintain the looks of their homes, Rota advises they double check if certain work truly needs to be done, and check references to ensure the quality of the work over the long term. For instance, while new insulation for walls is often required, many contractors suggest insulation be attached to the exterior walls followed by new siding. Rota says this is often unnecessary, as insulation can be blown in, maintaining the original exterior of the home. Foundations are another significant issue homeowners of older homes need to consider. In Edmonton, typical older basements are brick or concrete blocks and contractors often want to replace the foundations, but Rota suggests that, before spending a lot of money on replacement, do the simplest things first by addressing drainage and grade issues around the home. One of Rota’s clients shared what drew her to restoring her historical home, and she may have described it best: “She regarded herself as the steward of the property,” Rota says. “She thought of herself as one person in time charged with maintaining the house and she did the work to preserve the house for the next generation. For those who see themselves as stewards of their homes and want to learn more about their original characters, Ashe suggests homeowners start with a visit to the city’s archives. While there are not always photos of specific residential properties, there are often photos of other similar homes. Another resource can be found online by searching mail-order home catalogues. Ashe says that many pre-Second World War homes were ordered from Eaton’s, Sears Roebuck and other company catalogues, delivered in pieces by rail then constructed on site. Probably the best way to learn about a home’s original interior or exterior is to track down family members who lived or visited the home. “Often people are very willing to share photos of properties,” Ashe says. In fact, Locky met a niece of the original owners and she shared photos and memories that continue to shape their view of the home’s history. 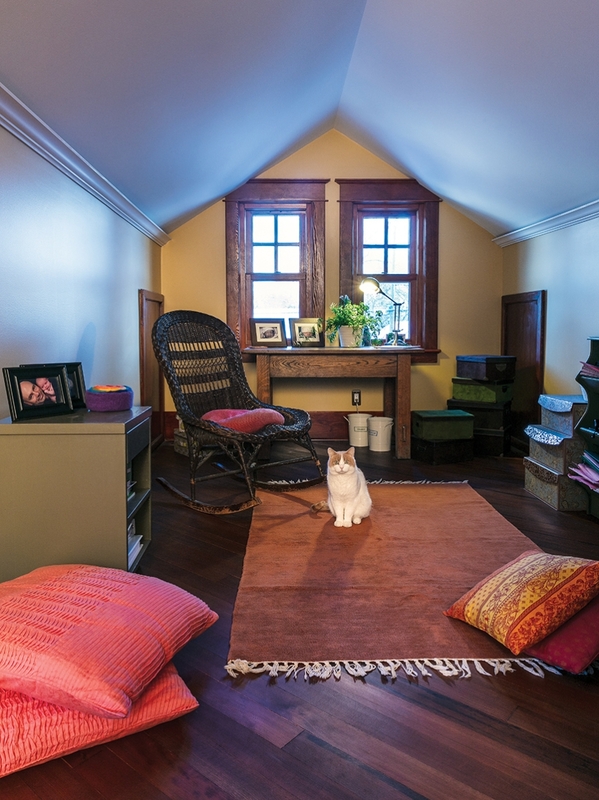 Locky knew nothing about Arts and Crafts design when he moved into his home in 2005. He has since learned about clinker brick (his chimney is one of a few remaining structures in Edmonton built of these dark, misshapen bricks), about the British Columbia Douglas Fir trade (which provided many historic homes’ original millwork) and about hoosiers (a type of stand-alone kitchen cabinet that was all the rage in the 20s). 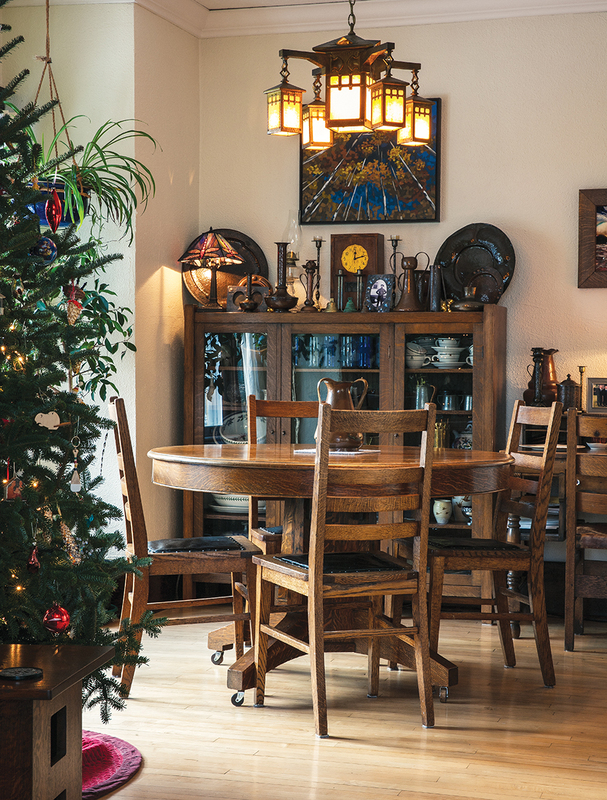 He became a collector who can identify Stickley, Lakeside Crafts and Roycroft like an arts dealer.